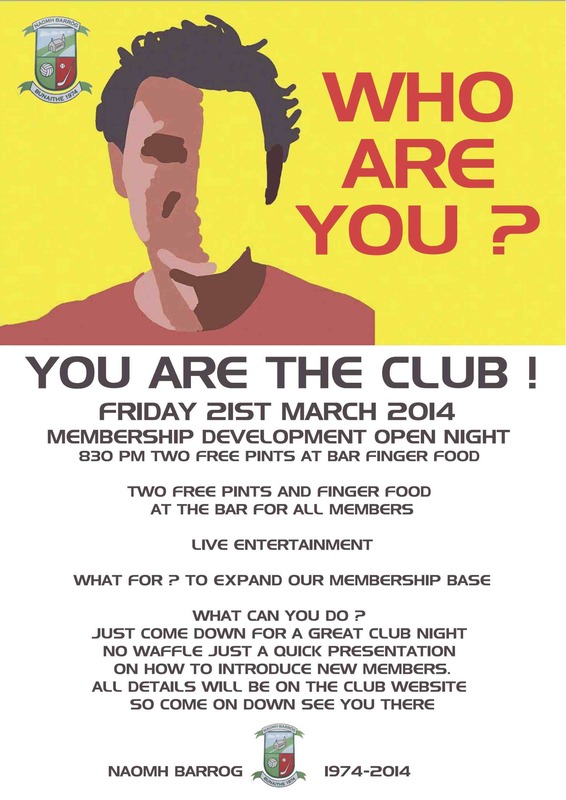 To celebrate Naomh BarrÃ³g's 40th anniversary we are having a Membership Development Night on Friday the 21st of March. Our hope is to increase our social membership base. We are offering free introductory social membership (conditional that 20 euro is spent behind the bar during the membership period) to new members and an extension for existing members. The terms for this will be briefly discussed on the night. All new members can avail of a range of discounts at various established businesses in the area. More information can be found here. Hope to see you all on the night.